We’re thrilled to share our 2013-2014 National Annual Report. 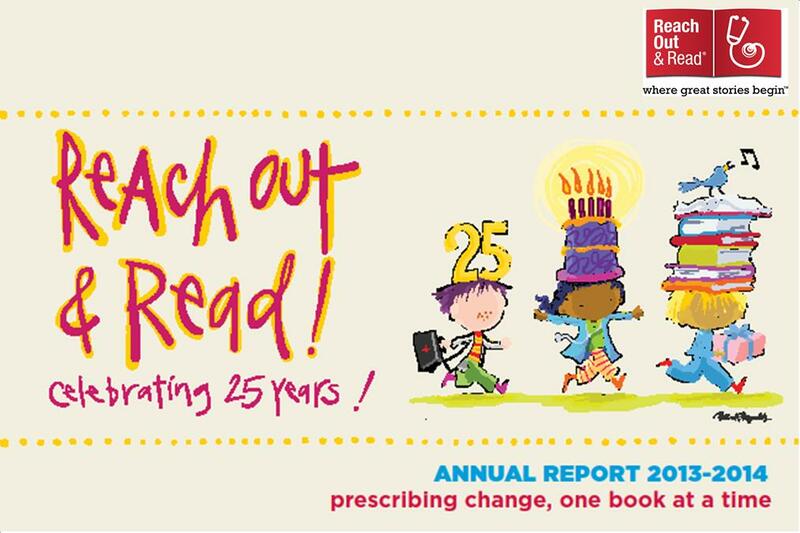 25 years ago doctors created Reach Out and Read in one exam room, in one hospital, and in one city. Today, it has grown to impact 4 million children with 5000 sites in all 50 states. We hope you’ll take a few minutes to check it out and celebrate an amazing year (and 25-year journey in early literacy) with us. Thank you for your continual support and partnership!